When I think back to our time on Fuerteventura, pretty much the only things that come to mind are the beach and the sun. Back then we did relatively little on the island, but sometimes you just need to be lazy. There is one excursion though that I remember well. We took a hire car to Faro de la Entallada. This is one of the most beautiful destinations on the island. The drive up to the lighthouse is an adventure. A very curvy and narrow street diverts from the main road for the last 7 kilometres to the lighthouse. The street is really curvy and I was relieved that my tummy was in peace again after our arrival. On days where it is not possible to visit Faro de la Entallada the entrance is closed by a barrier. 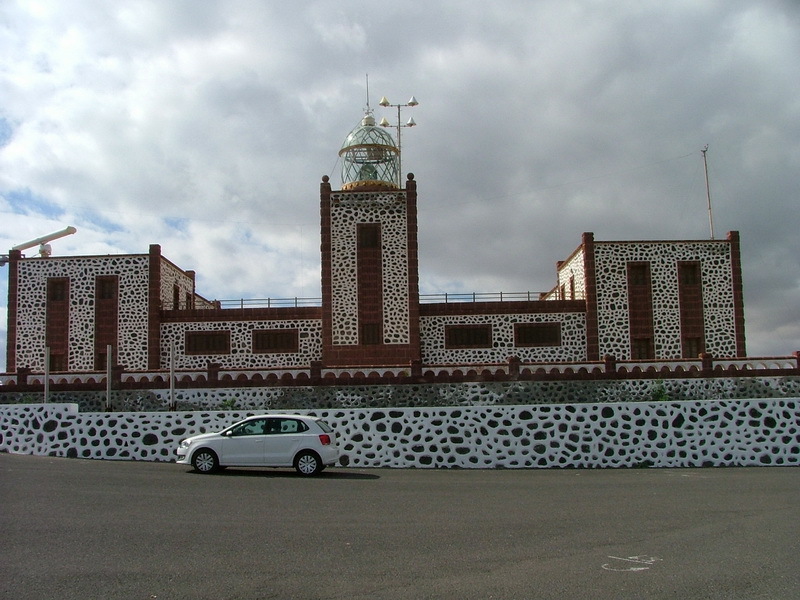 The Punta de la Entallada is on the southern coast of Fuerteventura. 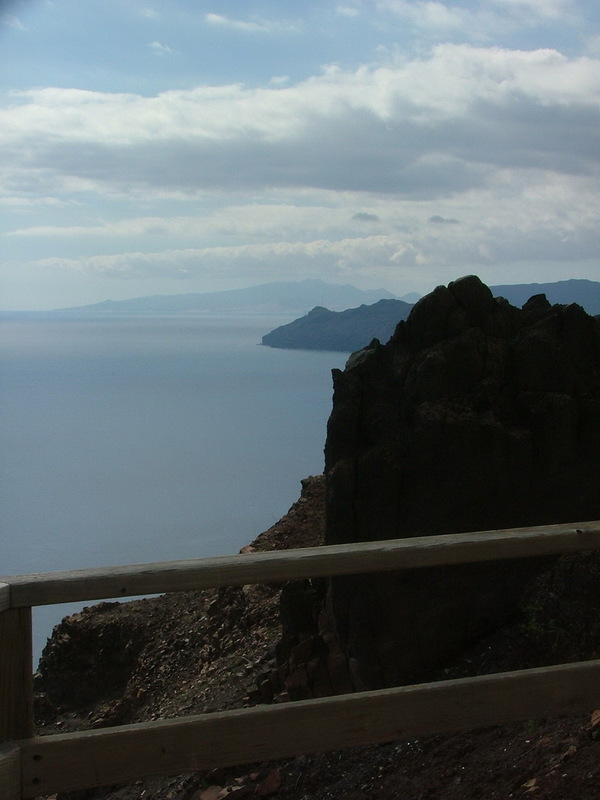 On a steep cliff, 185 meters high, is the Faro de la Entallada. The lighthouse was built in 1950 after a design by the architect Carlos Alcon. It is a rather atypical structure. The tower isn’t very high for a lighthouse and is topped with a glass dome. The footprint of the complex is a square. The walls are made from grey basalt and red porphyry, the dominant features are sills, ledges and arches. There is a car park right in front of the lighthouse from which it’s only a few steps to the viewing platform. The view of the Atlantic, the coastline and the Cuchillos de Vigan valley from here is grandiose.